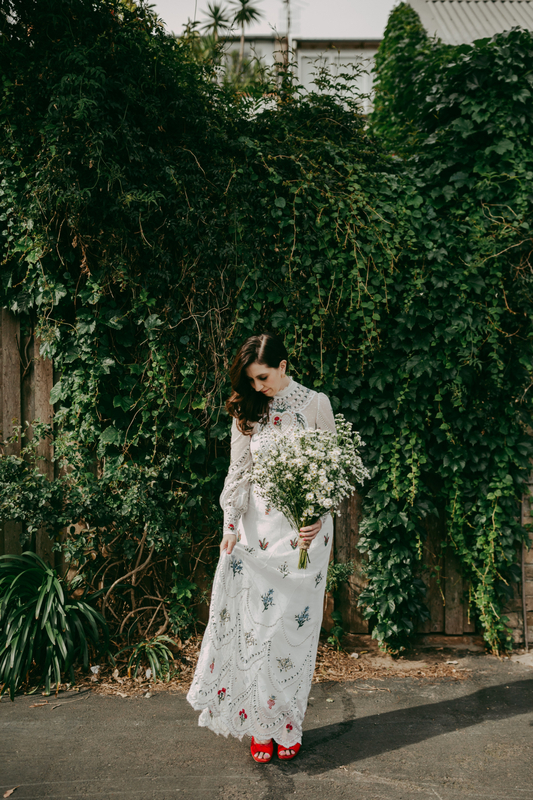 THE VENUE “We found out that Porteno had turned their original location on Cleveland Street into an event space via Wedding Shed and knew straight away that was the place for us. We arrange a meeting with Catherine to see it and pretty much booked it straight away. It was the only venue we saw. We knew it was a great space where we could get married in and also have the reception, we also love good food and wine (big tick), and the space was so beautiful we knew it wouldn’t need much to decorate it. We loved the gorgeous tiles, marble tables and beautiful atrium where everyone dined. We also knew Gardel’s bar would be perfect for the party after the reception (it really was).